Impressive in every way! 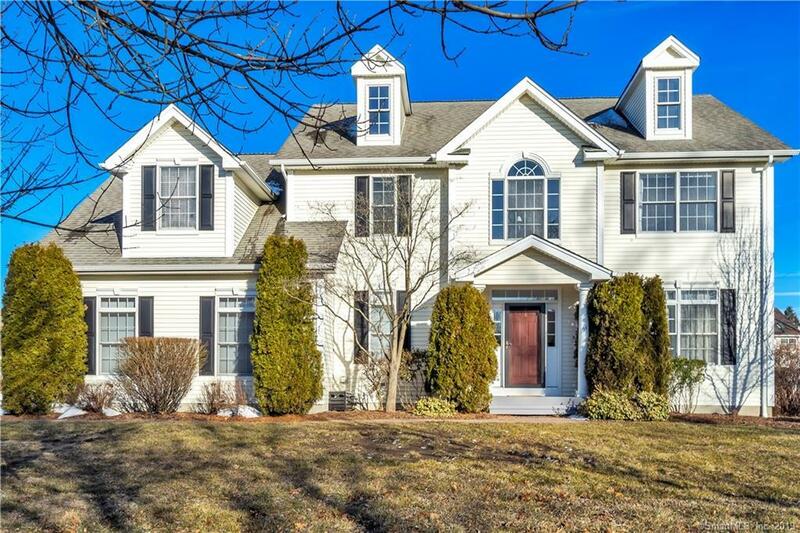 This beautifully appointed and fully customized 4 Bedroom 2.5 Bath 2,955 square foot Great River Center hall Colonial is a dream come true! This outstanding home welcomes you with it's dramatic two story foyer; the stately formal rooms include a Living Room and generously sized Dining Room; a chef friendly Eat-in Kitchen includes granite counter tops, a center island/Breakfast Bar and separate Dining Area with sliders to an fabulous stone patio; and to complete the first floor is an inviting Family Room with gas fireplace and is adjacent to the kitchen, perfect for entertaining. Beautiful wood flooring on the main level. The four bedrooms features a generously sized Master accented with cathedral ceiling, a custom walk-in closet, and full bath highlighted by the over sized tub, double sinks, and separate shower. An Expansive unfinished lower level would be ideal for a future Game Room or guest suite. 2 car garage. Great level yard for outdoor fun. Majestically situated overlooking Great River Golf Course and the Housatonic River. Economical & environmentally friendly solar panels. A short ride to Metro North train and downtown Milford. Close to all major highways. This one has it all!